Han Hendriks is Chief Technology Officer at Yanfeng Automotive Interiors (YFAI). 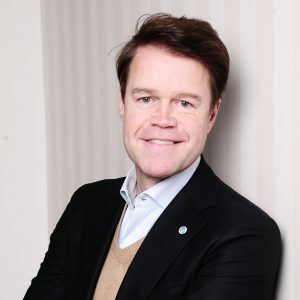 Born in the Netherlands, he acts as a global innovator responsible for the company’s technology and innovation vision and strategy as well as the development of new products from the initial idea to the market launch. In addition, he is responsible for global sales of the innovations. Mr. Hendriks has more than 25 years of experience in the automotive and electronics industries. Since 1999 he has occupied various management posts at Johnson Controls. These included his work as Vice President, Product Development Interiors and General Manager, Europe Region. Before this he served as Vice President, Global Product Center, Instrument Panels/Cockpit Systems. (The Automotive Interiors business of Johnson Controls became Yanfeng Automotive Interiors in July 2015). Before starting work at Johnson Controls, Mr. Hendriks worked for companies such as Fluke (Danaher) and Oce (Canon). Mr. Hendriks holds a Bachelor of Fine Arts in Product Design from the Academy of Applied Arts in Maastricht. He also successfully completed a post-graduate Industrial Design program at the Universita Dell ‘Arte in Florence. In addition he gained a Masters qualification in Business Administration at the University of Westminster in London. He has lived and worked in the Netherlands, United States, Germany and Italy. He speaks Dutch, German, English and Italian.